« An Inclusive & Diverse Hanukkah Same’ach! Yom Huledet Sameach! 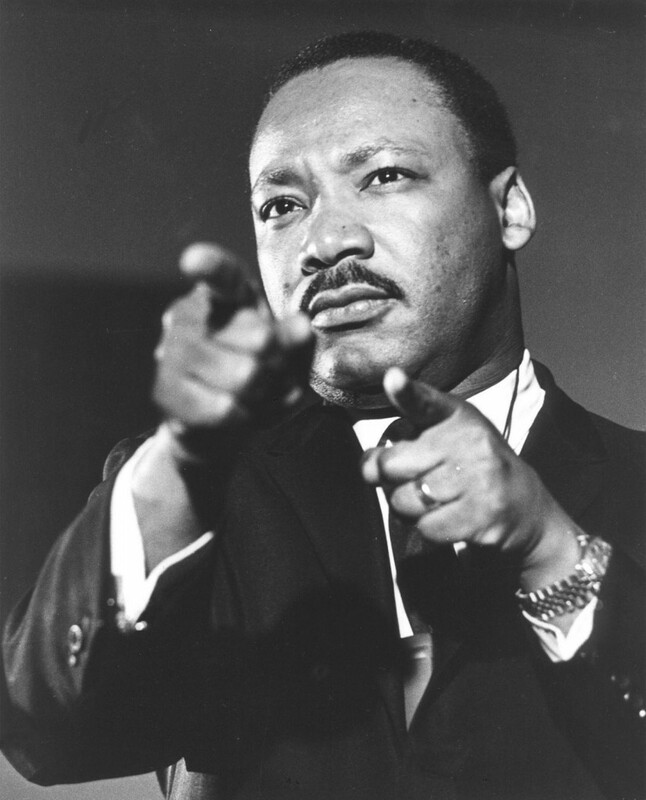 Martin Luther King Jr.
Yom Huledet Sameach! Martin Luther King, Jr.
“I look to a day when people will not be judged by the color of their skin but by the content of their character.” ~Martin Luther King, Jr.
“Change does not roll in on the wheels of inevitability, but comes through continuous struggle.” ~Martin Luther King, Jr.
Our goal is to create a beloved community and this will require a qualitative change in our souls as well as a quantitative change in our lives. ~ Dr. Martin Luther King Jr.
“For the next 30 minutes, I offered three thoughts – the words of the Midrash. First, I said that Jewish tradition teaches us that when God created man, he created only one man. Why? So that no man would ever be able to say my father is better than your father. Next, I shared my second thought that according to Jewish tradition, God created man using dust from the four corners of the earth. Why? So that no person would ever be able to say the place from which I come is better than the place from which you come. The Rev. Martin Luther King Jr. Memorial Forest was established by the Jewish National Fund (JNF) in 1976 with the ceremonial planting of 39 trees, symbolizing each year of Martin Luther King Jr.’s life. 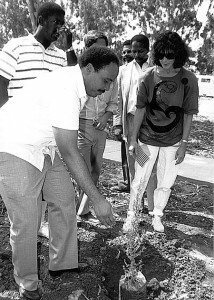 Below, Martin Luther King III plants a tree in the Martin Luther King Jr. Memorial Forest on Sept. 10, 1987, during his religious pilgrimage and study mission in Israel. The forest is located in Turan, near Nazareth. The Coretta Scott King Forest is located in Biriya Forest, Israel. Every year 100’s of trees are added to the forest during King’s birth month.